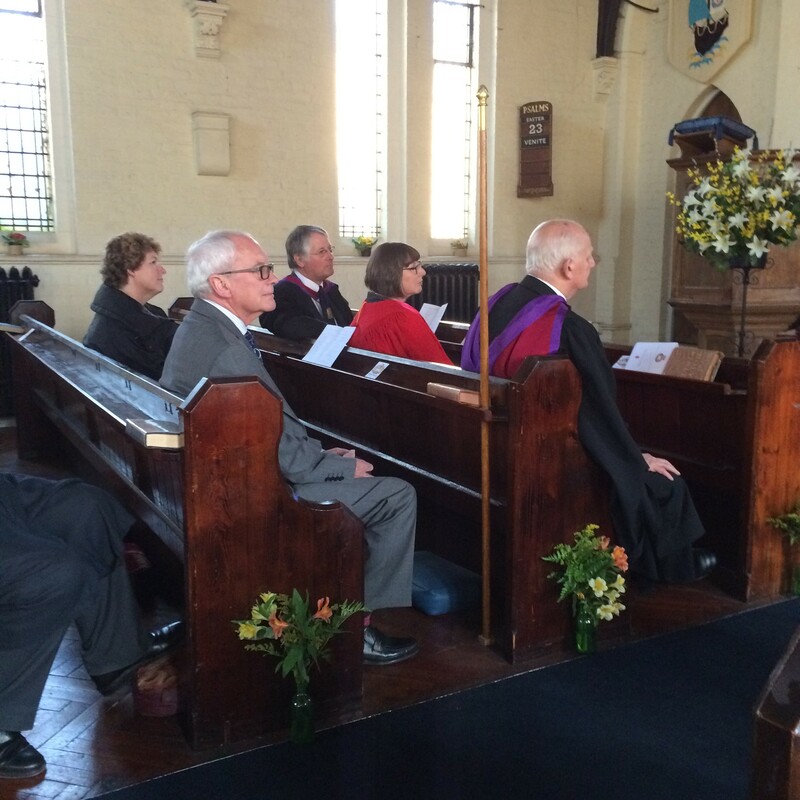 The annual Convocation of the Institute of Arts and Letters, London, took place on the afternoon of Saturday 18 April at St Jude’s Church, Balham, by kind permission of the Rector. After an introduction by the President, the Secretary-General presented the Annual Report, apologies for absence and commemorated deceased Fellows. Four new Fellows were presented in person, while a further five received Fellowships in absentia. The President then gave a talk entitled “An Introduction to the Abbey-Principality of San Luigi”. This was followed by an organ recital by Dr Maurice Merrell, who is a Fellow of the Institute of many years’ standing. Dr Merrell performed music by Purcell, Bach, Campra, Thalben-Ball and Stanley. This was then followed by an excellent tea kindly provided by the Rector, who is also one of our Fellows. A dinner will be held for Fellows in the autumn, with details to be circulated shortly. The photograph above shows the Institute’s Council.